New for 2017 is our fat Strat® HSS black 1 ply 0.120" Acrylic pickguard with our signature feature of the rounded and polished perimeter edge. This HSS pickguard is designed for a standard Humbucking bridge pickup that uses 2 screws for mounting. These pickguards are the same style found on Gilmour's Black Strat® except these do not have the small slot for the recessed mini-toggle switch and these are for a Humbucker and two single coil pickups. This pickguards bridge pickup cut-out dimensions are designed around Seymour Duncan's Trembucker design (without a metal cover) which is proper for a tremolo bridge equipped Strat. The bridge pickup mounting uses a standard 2 screw system with a mounting spacing of 3.10". 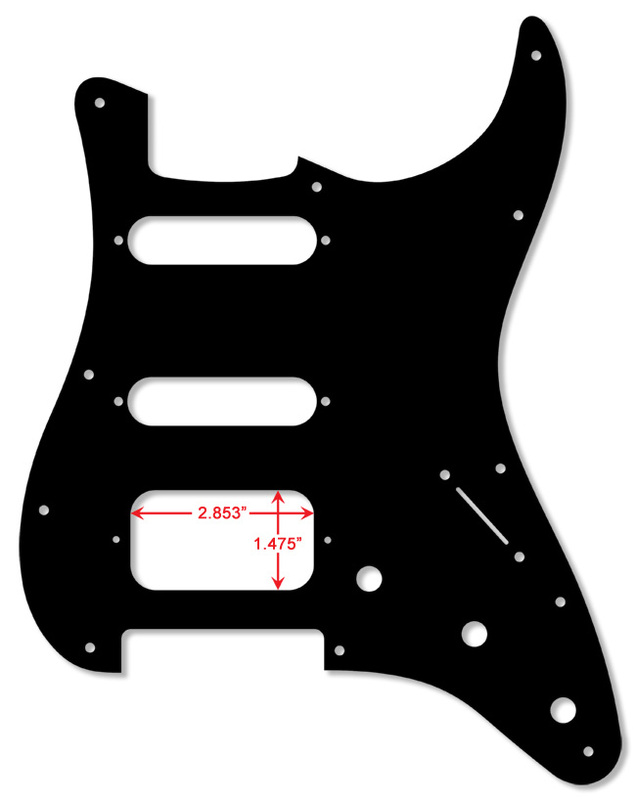 This pickguards middle and neck pickup cut-outs are dimensioned for standard single coil pickups. 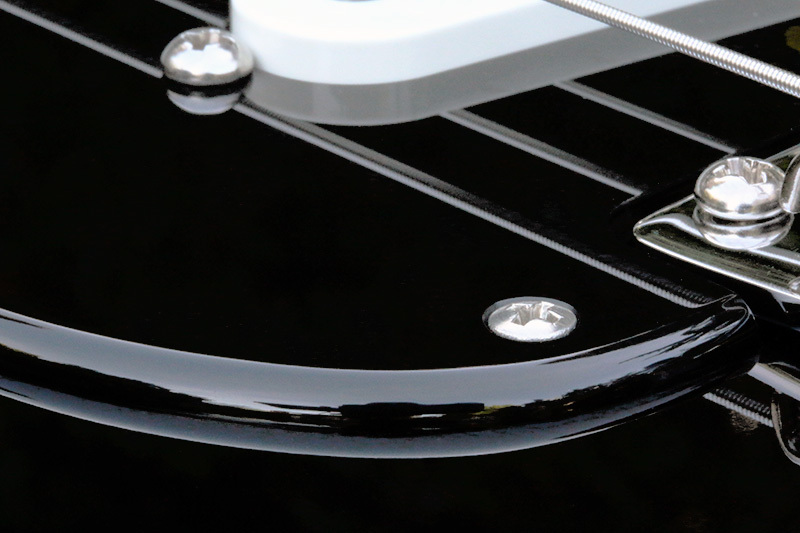 This pickguard has a standard 11 hole mounting pattern, the selector switch and single coil pickup mounting holes are not countersunk and require Phillips round head mounting screws. Potentiometer mounting holes are standard 3/8" in diameter. Each pickguard is copper foil shielded in the control region only. Bridge Pickup Cut-Out: 2.853" x 1.475"
Bridge Pickup Mounting: Spacing 3.10"